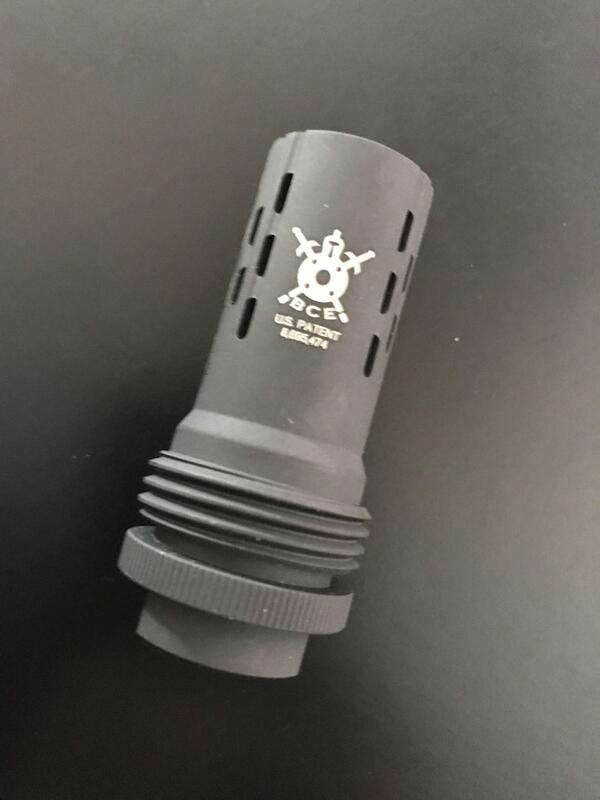 ASRBC5.56 works with Silencer ASR mounts. Threaded in 1/2×28 RH. 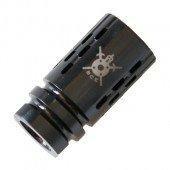 Compatible with 5.45-5.56 calibers. Shim kit included. Suitable length for 14.5″ bbls for 16+” OAL. Oil threads for initial fitting, then degrease and apply Rocksett for suppressor use. 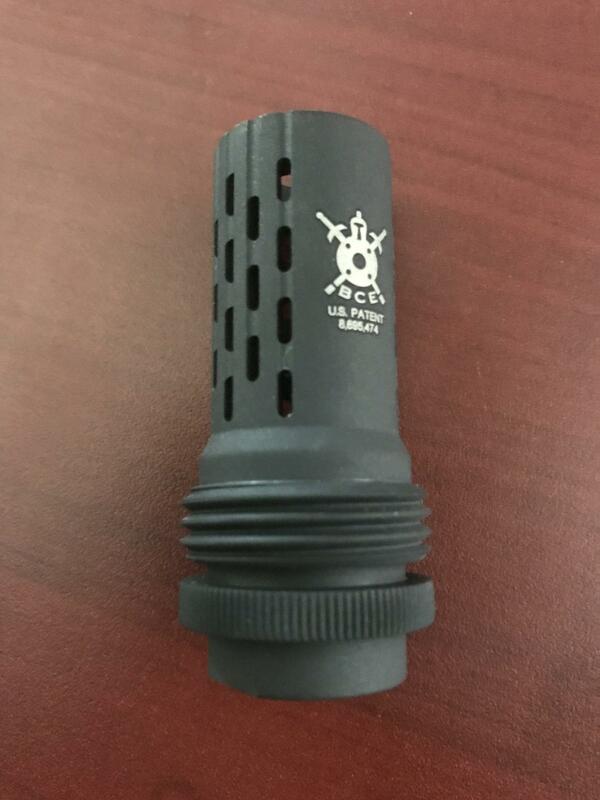 The ASRBC5.56 is the newest 5.56/.223 caliber BattleComp, designed to be compatible with SilencerCo ASR-mount silencers like the Omega, Saker, SpecWar, Harvester, and Hybrid. 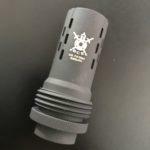 This one-piece unit is precision CNC-milled from stainless steel, then coated with DLC (Diamond Like Coating) PVD. These are threaded in 1/2×28 RH. 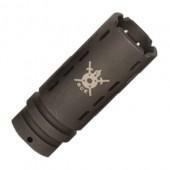 The ASRBC5.56 is approximately 2.41″ overall length and weighs approximately 3.2 ounces. It is long enough to take a 14.5″ barrel to over 16″ if pinned and welded, or silver-soldered. Please oil the threads for initial fitting with shims, then degrease and apply Rocksett for suppressor use. Let Rocksett cure before initial suppressor use.